Kyle Grillot - kgrillot@shawmedia.com Brandon Holm (left) and George Veugler, both of Crystal Lake, react inside the Cottage Tuesday after a shot on the U.S. goal was saved by goalie Tim Howard during the second half of the match against Belgium. 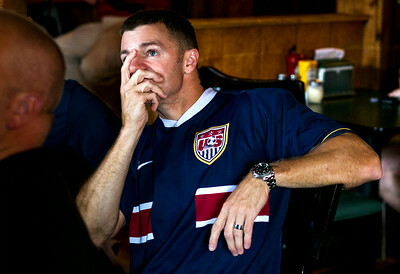 The United States was eliminated by Belgium in the 2-1 loss Tuesday in Salvador. 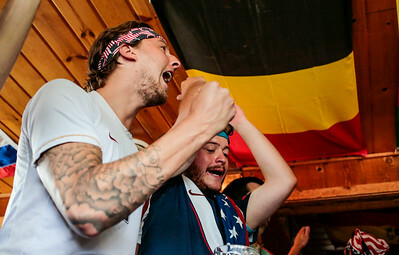 Kyle Grillot - kgrillot@shawmedia.com George Veugler of Crystal Lake react sinside the Cottage Tuesday after a shot on the U.S. goal was saved by goalie Tim Howard during the second half of the match against Belgium. The United States was eliminated by Belgium in the 2-1 loss Tuesday in Salvador. 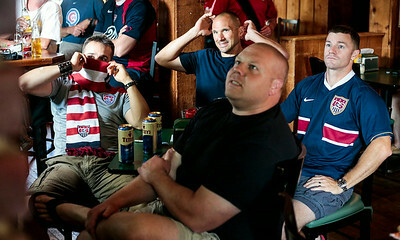 Kyle Grillot - kgrillot@shawmedia.com Scott Gaschler (from left), Joe Knebl, Mike Smith, and Steve Morris react inside the Cottage Tuesday during the first half of the match against Belgium. The United States was eliminated by Belgium in the 2-1 loss Tuesday in Salvador. Kyle Grillot - kgrillot@shawmedia.com Steve Morris of Huntley watches the United States soccer team during the first half of the match against Belgium. The United States was eliminated by Belgium in the 2-1 loss Tuesday in Salvador. 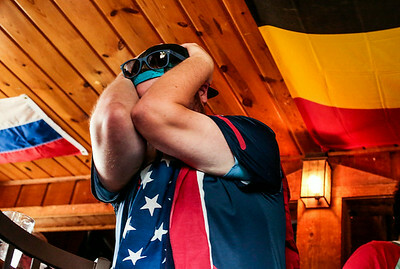 George Veugler of Crystal Lake react sinside the Cottage Tuesday after a shot on the U.S. goal was saved by goalie Tim Howard during the second half of the match against Belgium. The United States was eliminated by Belgium in the 2-1 loss Tuesday in Salvador.